After nearly two decades, the first female sheriff elected in Chester County has announced that she will retire from the Sheriff’s Office and therefore won’t be seeking re-election. Her term ends in early 2020. 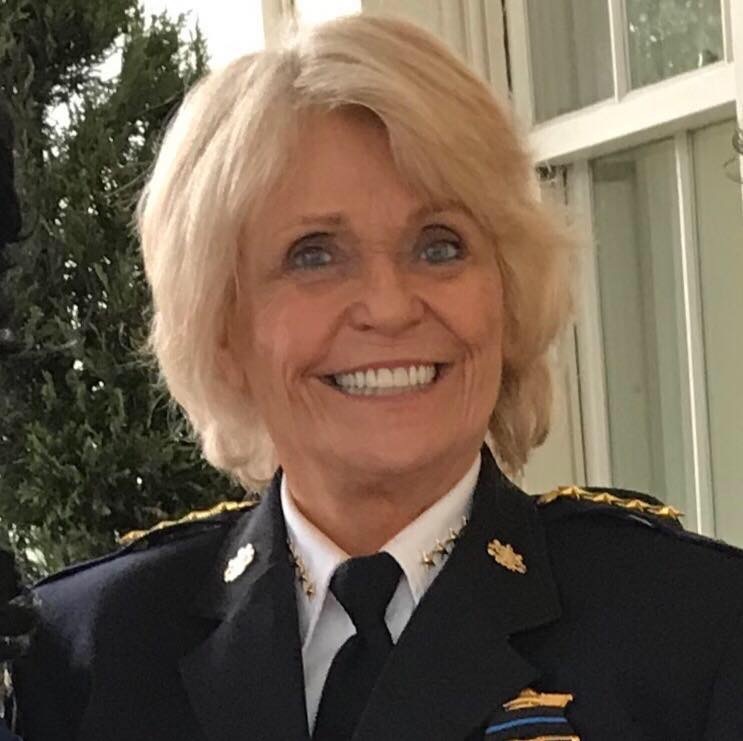 Chester County Sheriff Carolyn Bunny Welsh, the longest-serving sheriff in county history, said she plans to pursue one of several opportunities that have surfaced. Welsh said she is weighing several options and will not disclose her decision until it has been finalized. She added that she was announcing her intention to change course now to give qualified candidates an opportunity to step forward and be considered. Her allegiance to the office she has overseen for nearly two decades makes her eager to assist the next person who will inherit “one of the best sheriff’s offices in the nation,” she said. She added that she plans to work tirelessly for the next year to implement some new initiatives and improve some existing ones. Welsh, a resident of Pennsbury, has amassed a significant number of achievements and awards during her tenure as Chester County sheriff. The first woman to be elected president of a graduating class at the National Sheriffs Institute, Welsh also became the first female president of the Pennsylvania Sheriffs’ Association in 2009. She was elected in 2011 to the board of the National Sheriffs Association, which oversees more than 3,000 sheriffs across the nation. She currently serves on the NSA’s executive committee as third vice president, the first woman ever to hold that post. She is co-chair of the National Coalition on Violence Against Animals (NCOVAA) and a board member of the National Flag Foundation. Locally, Welsh is a member of the Rotary Club of West Chester and serves as vice president of the Chester County Hero Fund. She sits on the board of the Chester County Family Academy and the Pennsylvania Leadership Charter School. In 1997, Welsh was named one of the Top 50 Women in Business in the Commonwealth of Pennsylvania. Her volunteer efforts earned her the National “Eckerd 100 Women of 2000” award, and in 2002, she received the prestigious “Breaking the Glass Ceiling” award from the National Center for Women and Policing. In 2004, Welsh was inducted into the International Police Association Hall of Fame; she received the March of Dimes Chester County Women of Achievement award the same year. In June 2005, Welsh graduated from the Mid-Atlantic Law Enforcement Executive Development Program “LEEDS” after the FBI Training Committee selected her to participate. In 2006 she was presented with an award for “30 Remarkable Women Making Domestic Violence History” by the Pennsylvania Coalition against Domestic Violence. In 2014, Philadelphia Main Line Today Magazine named Welsh, a mother of four and grandmother of nine, one of its 24 power women. And in 2018, Welsh received the Senator Robert J. Thompson Public Service Award for the broad scope of her myriad accomplishments. Under Welsh’s leadership, the Chester County Sheriff’s Office has also earned awards and recognitions. In 2008 and 2011, the CCSO was selected as the top sheriff’s office in the Commonwealth of Pennsylvania for Crime Prevention and Community Outreach. In 2016, Sgt. Paul Bryant and K-9 Don of the CCSO’s K-9 Unit swept the cadaver category at the USPCA’s National Detector Dog Trials. The team’s extraordinary prowess also led to another award: best overall. At the same competition, the teams of Lt. Harry McKinney and his drug-detecting K-9 partner Jessie and Deputy Sheriff Brian Bolt and K-9 Yukon, his explosives-detection partner, also received trophies.